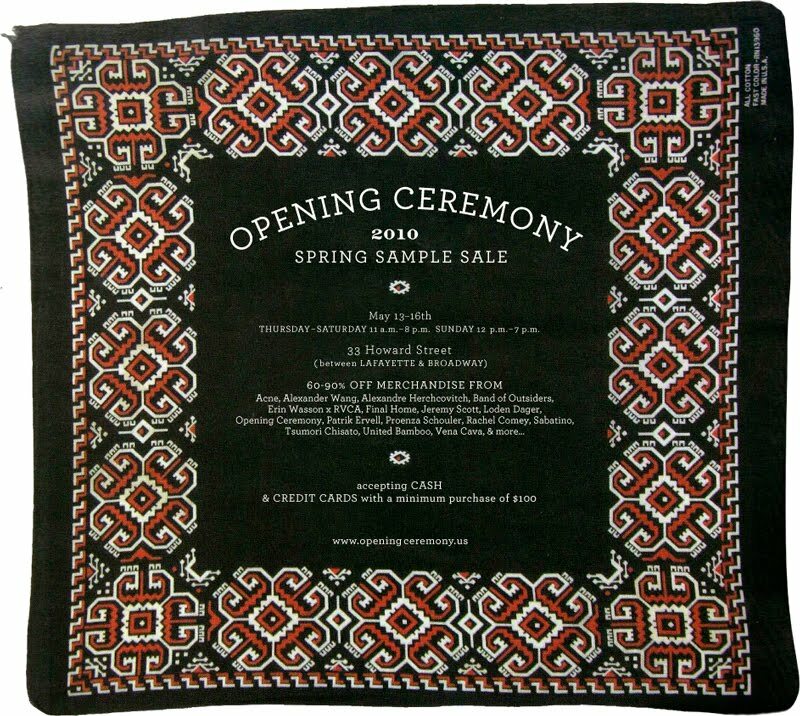 Sale Alert: Get Alexander Wang, Proenza Schouler and Others At The Opening Ceremony Sample Sale | Fashion. Style. Beauty. | Life is short. Live well. If ever there was a sample sale to attend, THIS is the one I would highly recommend. 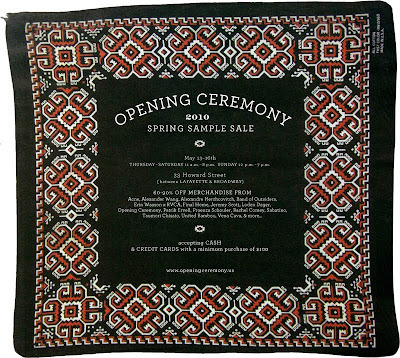 One of my favorite stores, Opening Ceremony, is having a fabulous sample sale from May 13th through May 16th at their Soho location (33 Howard between Lafayette and Broadway – I have it memorized), where you can get 60-90% off some amazing designer merchandise. We’re talking Alexander Wang, Erin Wasson x RVCA, Jeremy Scott, Proenza Schouler, Rachel Comey, Vena Cava and many, many more. Details are in the invite. If you love amazing designer merchandise at a fabulous price, THIS is the sample sale to attend!